If you crave an Indian Ocean island but also want some adventure, Madagascar is the perfect choice. It's the fourth largest island in the world and 90% of its wildlife is found nowhere else on earth. Combine golden beaches, teeming rainforest and traditional Malagasy villages with tranquil lodges and romantic beach resorts for one memorable honeymoon. As one of the planet’s biodiversity hotspots, a Madagascar luxury honeymoon will bring you in harmony with nature. Discover an exotic collection of animals and plants that are unique to this Indian Ocean island, known as the Big Red Island. Come face-to-face with lemur, hike through forests scented with ylang-ylang blossoms and enjoy world-class diving and snorkelling off the palm-fringed beaches. 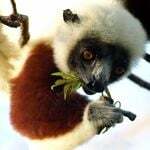 On our 13-night Classic Madagascar honeymoon our knowledgeable guides will help you track eight species of lemur in Andasibe National Park and take you on a memorable canoe trip through the mangroves. Our expert team prides itself on creating bespoke honeymoons, taking into account your available time, budget and interests. A tailor-made itinerary might include a stay on the wonderfully named Nosy Be – a charming island off the northwest coast that oozes low-key romance – and some wonderful hotels such as the Tsara Komba or the remote Constance Tsarabanjina Lodge. The island’s hottest property is Miavana. Located on the captivatingly beautiful private island of Nosy Ankao, it’s an incredible hideaway. Described as a game-changer for Madagascar, Miavana can hold its own with the most luxurious resorts in the Seychelles and Maldives. We can also arrange a two-centre honeymoon combining Madagascar with a safari in South Africa, a chic city stay in Cape Town or sheer beachfront luxury in Mauritius. The best time to visit Madagascar is between June and November, when you’ll have the once-in-a-lifetime opportunity to see some of the 7,000 humpback whales migrating to the island’s waters to breed. Our expert team prides itself on creating bespoke honeymoons, taking into account your available time, budget and interests. We visit Madagascar regularly and have the sort of insider knowledge that ensures the perfect experience. 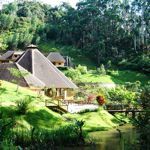 Find out more about our honeymoons in Madagascar.